Circuit of The Americas, a nearly 3.5-mile road course near Austin, is interested in hosting a Verizon IndyCar Series race so long as it doesn’t conflict with an existing event. But COTA shouldn’t be concerned that—the race track should, instead, be worried about its 1.5-mile asphalt neighbor up north. Track president Bobby Epstein said COTA would be interested in IndyCar so long as the track could make it work with a bunch of “calendar limitations,” NBC Sports reports. But people can be quick to forget, as it seems Epstein has been: COTA’s neighbor 230 miles north near Dallas, Texas Motor Speedway, isn’t fond of sharing series with it. Texas Motor Speedway already has an IndyCar race. “We didn’t want to have conflicting messages to the fans of competing products, I would say. I think we didn’t want to have competing products, and we still don’t. 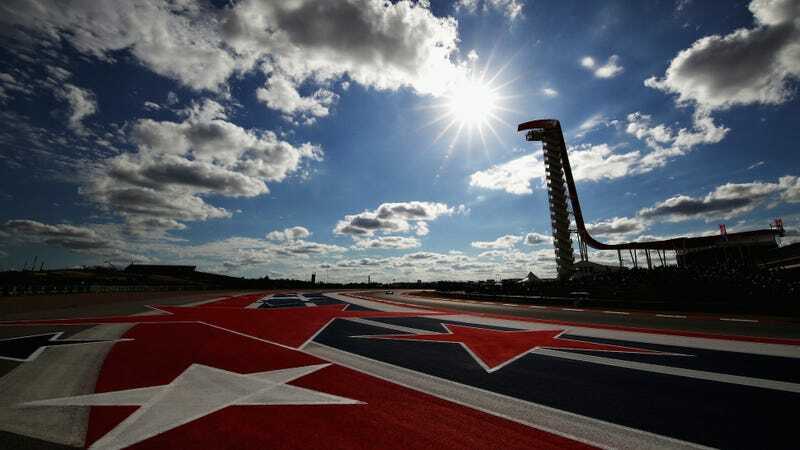 Because MotoGP’s COTA date takes place in the spring and the track doesn’t want a race in the summer or too close to F1, Epstein said there “are some stars that need to align” to make an IndyCar date happen. But he also has to avoid the wrath of TMS president Eddie Gossage, who doesn’t appear to have commented on Epstein’s recent IndyCar claims—although it’s only been a few days—but has been pretty adamant about keeping series for himself in the past. Epstein said early this year that he’d been in talks with NASCAR officials about a potential COTA race, which would probably be incredible to watch considering NASCAR and road races make for a great show. I don’t blame [COTA] for wanting NASCAR races, it’s just that they’re 20 years too late. I don’t think they know the business, or they wouldn’t be saying such things. The anger from Gossage doesn’t make much sense, really. IndyCar ran the Houston Grand Prix, in Texas, in both 2013 and 2014, and these two tracks aren’t exactly straight-up competition. Texas Motor Speedway is a 1.5-mile asphalt oval, whereas Circuit of The Americas is a 20-turn road course. We have not only earned loyalty in IndyCar, we’ve paid dearly for it (in sanction fees), huge sums of money that nobody else in the history of IndyCar racing has been required to pay to keep it. So, like we said, COTA: Good luck. If you’re really serious about snagging an IndyCar race, you’re probably going to need all the well wishes you can get.